Elon Musk is an engineer, inventor, CEO, investor, and billionaire. But there's more to Musk than meets the eye—to truly understand this self-made South African native, it's necessary to learn a few fun facts. Musk is a dreamer with a vision; he co-founded PayPal and Tesla. But his ultimate goal is space exploration, and he believes that he can help colonize Mars. Sound like science fiction? Check out these things you might not have known about Musk, and perhaps his past achievements will give insight into his visions for the future. Musk was born in South Africa, but moved to Canada on his own while still a teenager. He worked odd jobs before landing at Queen’s University in Ontario. By the age of 28, he was a multi-millionaire. As of 2018, Musk had a net worth of $21.3 billion, according to Forbes. But the real life inspiration for Tony Stark is in the game for more than just money and power. His pro-environmental ambition is to create an accessible electric car so that society is no longer oil dependent. Musk's biography paints a picture of a person with unbelievable drive and perhaps the intelligence to colonize the Red Planet in this lifetime. Musk decided to adventure out in his career early 2019 when he released the rap song "RIP Harambe" on the music streaming service, Souncloud, under his fictional record company, Emo G - or "Emoji." The song has everything you could want from an Elon Musk music career, including auto tune and an outdated meme. "RIP Harambe/Sipping on some Bombay/We on our way to heaven/Amen, Amen. RIP Harambe/Smoking on some strong/In the gorilla zoo/And we thinking about you." After Musk's parents divorced when he was eight years old, he lived with his mother, Maye, in various cities throughout South Africa. He dreamed of moving to the United States, but wound up immigrating to Canada alone at 17 years old. The future billionaire stayed with family members and lived on just $1 a day. He saved money by subsisting primarily on oranges and hot dogs. 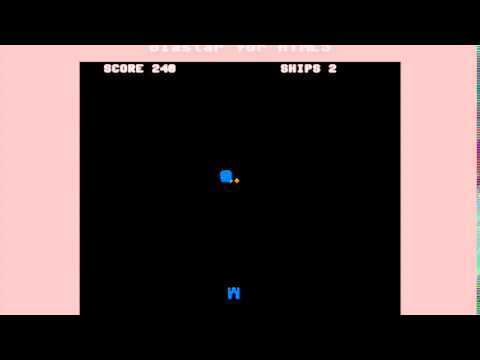 Before Musk even became a teenager, he wrote code for a space-based video game called "Blastar." He was just 12 years old at the time and was still living in South Africa. The Tesla CEO pocketed a few hundred dollars by selling the code to a computer magazine. His code was not used in the game, but Musk later published it in his biography. From there, Google software engineer Tomas Lloret created a version of the game available to play online. When Musk moved to Canada as a teenager, he didn't have a place to stay or much money in his pocket. He lived at a second cousin's house in a small town called Swift Current. He worked several odd jobs upon his arrival; Musk was a farm hand and a logger, but he ideally wanted a job that would earn him more money. "You have to put on this hazmat suit and then shimmy through this little tunnel that you can barely fit in," Musk said. "Then, you have a shovel and you take the sand and goop and other residue, which is still steaming hot, and you have to shovel it through the same hole you came through. There is no escape. Someone else on the other side has to shovel it into a wheelbarrow. If you stay in there for more than thirty minutes, you get too hot and die."